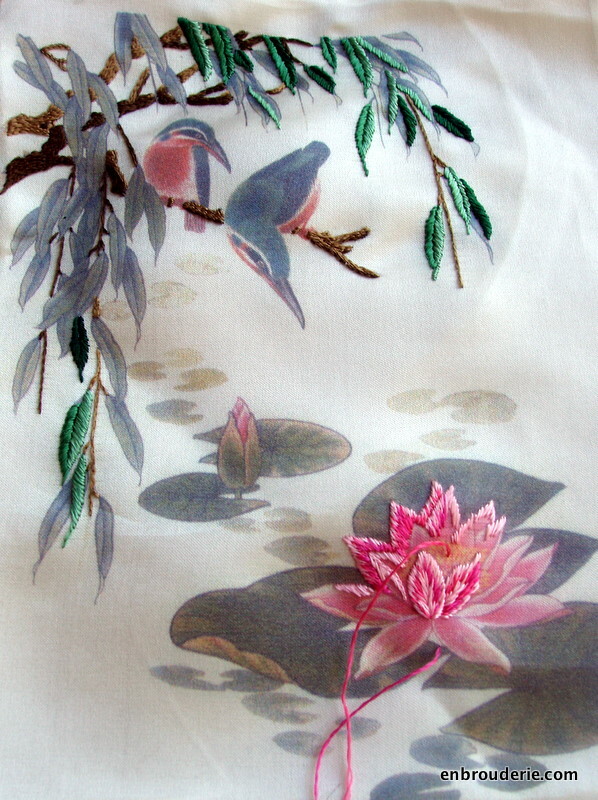 I have been working on my Chinese silk embroidery kit (not really worked in Chinese style). I added a lot of leaves, and started work on the flower. The flower has bold shading instead of gently changing shades, which is turning out even better than I thought it would. I am looking forward to attempting the birds. 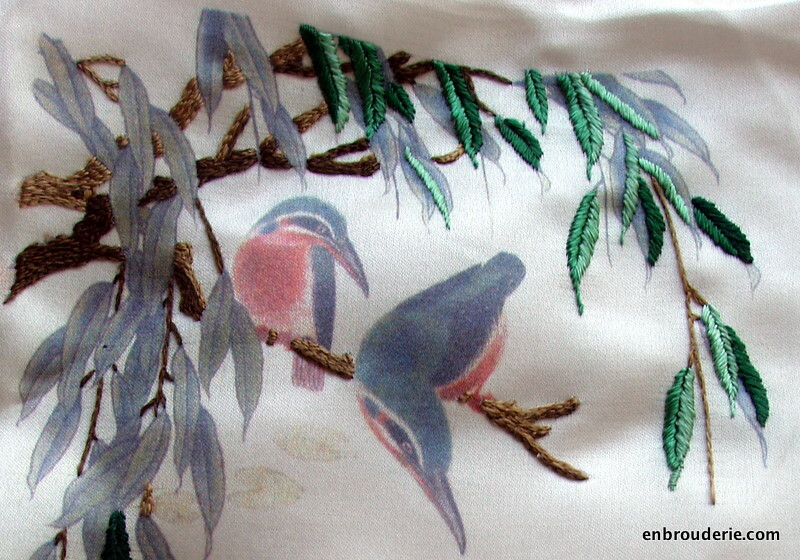 This entry was posted in My work and tagged embroidery, kits, silk, xiang. Bookmark the permalink. Great job! Are you going to fill in everything colored? Or are you to leave some leafs un-done for depth? Oh I hadn’t thought of that! I will have to think it over. Hmmmmmm! I love the shading in the lotus. Beautiful! Your embroidery is very beautiful, Keep up the great work!! I recommend leaving some of the leaves un-stitched as Therese suggested as it will make a good contrast. Yes, the more I think about it the more I like it. Love the colours in the Lily!